Explore our certified pre-owned vehicle inventory, then contact us to schedule a test drive today! Eye-catching in Red, our **One Owner**2017**Chevrolet**Cruze**LT**Rear Camera**Sport Body Kit** Sedan is a spectacular blend of performance, efficiency, and style! Powered by a TurboCharged 1.4 Liter 4 Cylinder that offers 153hp while connected to a responsive 6 Speed Automatic transmission. Enjoy swift acceleration with plenty of power for passing and merging, while attaining near 40mpg on the highway in this Front Wheel Drive sedan that has been sculpted to aerodynamic perfection and has a sporty appearance you'll praise each time you open the garage door. Designed to work hard for you, this LT offers a peaceful drive with plentiful amenities including cruise control, a center armrest, steering wheel mounted audio and phone interface controls and 60/40-split folding rear seatbacks that offer ample space for all of your gear. Staying safely connected is a breeze with Bluetooth, OnStar with available 4G LTE connectivity/WiFi, MyLink infotainment with a prominent touchscreen display, Apple CarPlay, Android Auto, available satellite radio, and more! Our Chevrolet doesn't miss a beat and provides confidence with stability control, four-wheel anti-lock disc brakes, advanced airbags, and even offers a Teen Driver feature. Delivering all the technology, efficiency, and style you crave, our Cruze is an outstanding choice you've got to see for yourself. Print this page and call us Now... We Know You Will Enjoy Your Test Drive Towards Ownership! We offer PRE-APPROVAL programs so call (402) 572-8080 to get started today! At Gregg Young Chevrolet... We'll Go The Extra Mile For You. We have an app for that! Download the Gregg Young Chevrolet application directly to your iPhone or Android. Step up to our 2017 Ford Expedition EL XLT 4X2 that's majestic in Magnetic! Powered by a Twin TurboCharged 3.5 Liter EcoBoost V6 that delivers 365hp while paired with a 6 Speed SelectShift Automatic transmission that's been designed for performance and efficiency with a selectable tow/haul mode. This Rear Wheel Drive offers a capable, confident ride and offers near 20mpg on the highway. Review our photos of this XLT and admire the commanding stance that was built to take its place on the road with prominent wheels, a bright chrome grille, running boards and a roof rack. Once inside this XLT, you'll see plenty of room for storage, comfortable seating with ample lighting, and power options for all of your devices. Stay connected thanks to Sync voice-activated communications and entertainment system with a center display, AppLink, USB port, Bluetooth and available satellite radio. You'll appreciate the outstanding versatility of a split second-row seat and a fold-flat third-row seat for exceptional cargo-carrying capability when you need it. Equipped with advanced safety features from Ford such as rear parking sensors, blind-spot mirrors, SOS post-crash alert and MyKey, our Expedition boasts exemplary safety ratings for added peace of mind. Offering strength, durability, style, and safety...we think this is a terrific choice you'll love for years to come! Print this page and call us Now... We Know You Will Enjoy Your Test Drive Towards Ownership! We offer PRE-APPROVAL programs so call (402) 572-8080 to get started today! At Gregg Young Chevrolet... We'll Go The Extra Mile For You. We have an app for that! Download the Gregg Young Chevrolet application directly to your iPhone or Android. Ready for adventure in Silver Ice Metallic, our **One Owner**Accident Free**2018**Chevrolet**Cruze**LT**Rear Camera**Remote Keyless Entry** Sedan is a spectacular blend of performance, efficiency, and style! Powered by a TurboCharged 1.4 Liter 4 Cylinder that offers 153hp while connected to a responsive 6 Speed Automatic transmission for easy passing. Enjoy swift acceleration with plenty of power for merging, while attaining near 40mpg on the highway in this Front Wheel Drive. Our Cruze LT is sculpted to aerodynamic perfection and has a sporty appearance you'll praise each time you open the garage door. Designed to work hard for you, LT offers a peaceful drive with plentiful amenities including cruise control, a center armrest, steering wheel mounted audio and phone interface controls and 60/40-split folding rear seatbacks that offer ample space for all of your gear. Staying safely connected is a breeze with Bluetooth, OnStar with available 4G LTE connectivity/WiFi, MyLink infotainment with a prominent touchscreen display, Apple CarPlay, Android Auto, available satellite radio, and more! Our Chevrolet Cruze LT doesn't miss a beat and provides confidence with stability control, four-wheel anti-lock disc brakes, advanced airbags, and even offers a Teen Driver feature. Delivering all the technology, efficiency, and style you crave, our Cruze is an outstanding choice you've got to see for yourself. Print this page and call us Now... We Know You Will Enjoy Your Test Drive Towards Ownership! We offer PRE-APPROVAL programs so call (402) 572-8080 to get started today! At Gregg Young Chevrolet... We'll Go The Extra Mile For You. We have an app for that! Download the Gregg Young Chevrolet application directly to your iPhone or Android. Ready for adventure in Summit White, our **2018**Chevrolet**Cruze**LT**Rear Camera**Remote Keyless Entry** Sedan is a spectacular blend of performance, efficiency, and style! Powered by a TurboCharged 1.4 Liter 4 Cylinder that offers 153hp while connected to a responsive 6 Speed Automatic transmission for easy passing. Enjoy swift acceleration with plenty of power for merging, while attaining near 40mpg on the highway in this Front Wheel Drive. Our Cruze LT is sculpted to aerodynamic perfection and has a sporty appearance you'll praise each time you open the garage door. Designed to work hard for you, LT offers a peaceful drive with plentiful amenities including cruise control, a center armrest, steering wheel mounted audio and phone interface controls and 60/40-split folding rear seatbacks that offer ample space for all of your gear. Staying safely connected is a breeze with OnStar with available 4G LTE connectivity/WiFi, MyLink infotainment with a prominent touchscreen display, Apple CarPlay, Android Auto, available satellite radio, and more! Our Chevrolet Cruze LT doesn't miss a beat and provides confidence with stability control, four-wheel anti-lock disc brakes, advanced airbags, and even offers a Teen Driver feature. Delivering all the technology, efficiency, and style you crave, our Cruze is an outstanding choice you've got to see for yourself. Print this page and call us Now... We Know You Will Enjoy Your Test Drive Towards Ownership! We offer PRE-APPROVAL programs so call (402) 572-8080 to get started today! At Gregg Young Chevrolet... We'll Go The Extra Mile For You. We have an app for that! Download the Gregg Young Chevrolet application directly to your iPhone or Android. 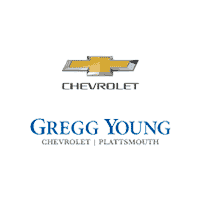 Why Buy a Certified Pre-Owned Vehicle at Gregg Young Chevrolet of Plattsmouth? I you have any questions, or would like more information, please give us a call at (402) 296-3210, or stop by our Papillion area Chevy dealership today!